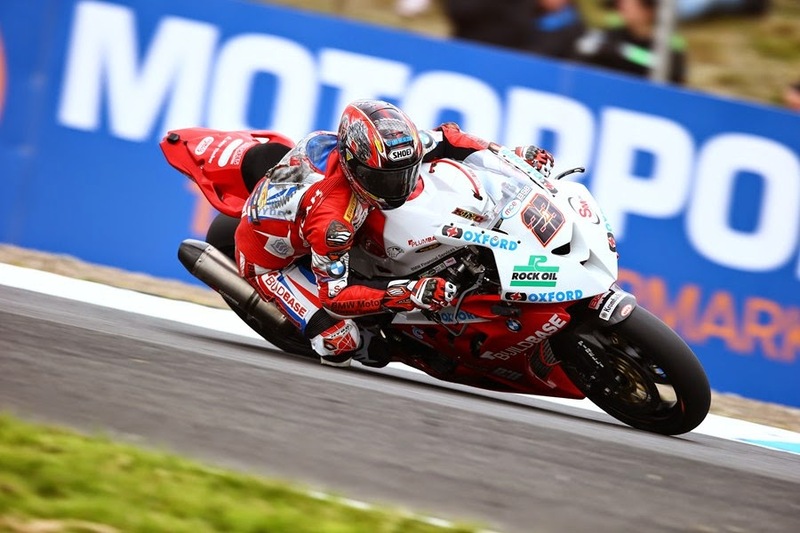 Buildbase BMW’s Ryuichi Kiyonari shot into pole position at the Scottish circuit of Knockhill this afternoon, securing his first pole position since 2010 in the MCE BSB championship. Topping qualifying one, the Japanese rider continued his scorching pace from the start of the weekend and shot straight to the top of the timing sheets as soon as he left pit lane, setting a lap time of 48.086s. Tyco Suzuki’s John Hopkins was another rider to come out and set a fast lap early on, as well as Shane Byrne. But it was Josh Brookes on the Milwaukee Yamaha who secured second position in Q1, just 0.05s ahead of Byrne in third. Q1 didn’t go uninterrupted however as a crash from FFX Yamaha’s Ian Hutchinson caused the session to be briefly red flagged as the former TT winner’s bike was left in the middle of the circuit as he walked away unharmed. As the session resumed Kiyonari continued to be untouchable and sailed through into Q2. Byrne topped qualifying two after setting the first flying lap of the session and was able to hold off Kiyonari for the first time of the day. Byrne’s time of 48.319 was enough to put him up 0.04s ahead of Kiyonari, as Brookes rounded out the provisional front row. Tyco Suzuki had a tough Q2 as both riders failed to make it through to the final session of the day, with Hopkins narrowly missing out on a top ten finish after being pushed out by Barry Burrell on the WD40 machine in the closing minutes. However Burrell was also pushed out of Q2 by Jakub Smrz who shot into sixth. Home rider Stuart Easton heads the second row, one position behind his Rapid Solicitors Kawasaki team-mate with James Ellison picking up his pace and securing a top five grid position from the middle of the second row. For a full grid click here. Previous Previous post: Moto3 and Moto2 Assen race round-ups: Marquez victorious and West is once again master of the rain.